This is the most recent information about Foundations that has been submitted to amIright. If we have more information about Foundations, then we provide a link to the section where it appears (the actual page whenever possible). "Bay, Now That I Found You" originally "Baby, Now That I Found You"
"Baby, Now That I Fund You" originally "Baby, Now That I Found You"
"Back On My Fleet Again" originally "Back On My Feet Again"
"Baby, Now That Di Found You" originally "Baby, Now That I Found You"
"Baby, Know That I Found You" originally "Baby, Now That I Found You"
"Baby, Not That I Found You" originally "Baby, Now That I Found You"
"In The Bad, Bad Old Days (Before You Loved Ma)" originally "In The Bad, Bad Old Days (Before You Loved Me)"
"Back Of My Feet Again" originally "Back On My Feet Again"
"Baby, Now That I Hound You" originally "Baby, Now That I Found You"
"Build Me Up Buttercup" "Fill Me Up Starbucks" Robert D. Arndt Jr. I'll be beside the phone waiting for you. You know that I hail from the stars. You know that I have from the start. My 15 year old daughter is soooooo cute. She loves to listen to all the oldies and she can run circles around me remembering the lyrics (because she takes the time to look them up)......but this time, she thought it was so clear, that it was unnecessary. This song is about a girl named Buttercup who takes her man for granted, so how does this line fit in to the song? Shouldn't it be 'I am your toy?' There's nothing else in the song that talks about the guy mistreating Buttercup, it's all about her actions and how he still loves her. I've puzzled over this one for years! Why do you build me up (build me up) Buttercup baby Just to let me down And mess me around? 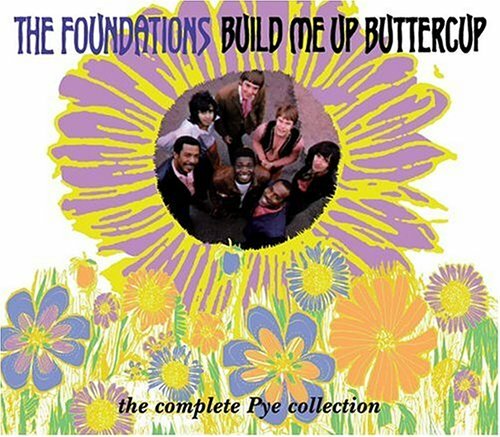 The top three fall 1968 smash hit, "Build Me Up, Buttercup" came a year after the success of the Foundations' "Baby, Now That I've Found You", but was just as successful and followed generally the same formula for success. The only two differences were the lead singer was changed to Colin Young (from Barbados), instead of "Baby..."'s Clem Curtis and the writers, Tony MacCaulay still shared part writership of "Build Me Up, Buttercup" but not with Mike McCleod. McCaulay co-wrote, "Build Me Up, Buttercup" with Michael d'Abo who was then lead vocalist for the group Manfred Mann. The rest of the opening line: "... don't need me, You don't need me." "Baby, Now That I've Found You" was the first top ten American hit (in fall 1967) for the British soul group, the Foundations. With "Baby, ...", the Foundations finally combined the best of the British Invasion sound started with the Beatles and the American soul artist such as with Motown and Atlantic recording artist. A matter of fact it was startling, in America -- at least, to many to see how racially even (in terms of blacks and whites) the group the Foundations were -- at least at that time (the Foundations though would prove to be a foretelling as to what was to come with such 1970's groups as K.C. & the Sunshine Band). The song was very much sold by then lead vocalist, Clem Curtis from Trinidad. "Baby, Now That I've Found You" was written by Tony MacCaulay and Mike McCleod. You never call, baby, when you say will you will. I run to the door; I can't take any more. It's not you; you've let me down again. Very lively music, but cold-hearted Buttercup is playing the poor guy for a fool.